Select any of these beautifully crafted earrings and we guarantee you will be pleased with your choice. Each of these carefully crafted earrings makes a statement about who you are. Wear men’s earrings unlike the rest. Go with the Black and White Diamond Skull to add a raw gothic touch to your style or simplify your look with the Silver and Black Diamond Earring. 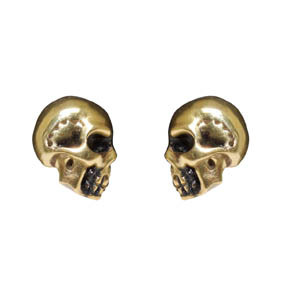 These 14x13mm brass skull earrings are the pinnacle of rock n' roll jewelry. This earring style is available in pairs and single earrings. 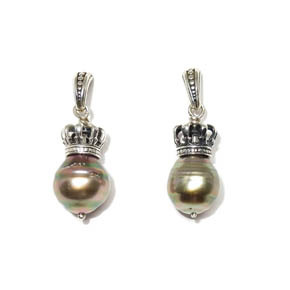 These earrings are made from a 12x14mm south sea pearl crowned with a 10x9mm sterling silver crown. This earring style is available in pairs and single earrings. 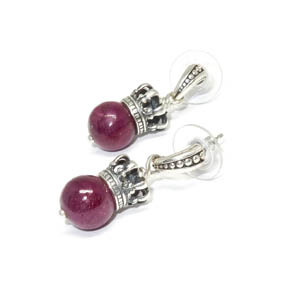 These earrings feature a 10x9mm silver crown sat atop a radiant 10mm ruby. This earring style is available in pairs and single earrings. 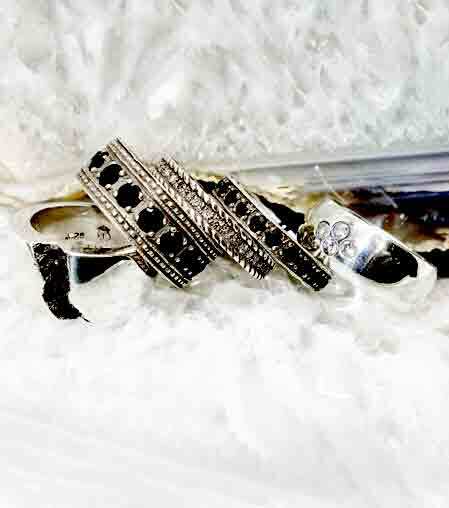 This stunning pair of Hamsa Hand white gold and white diamond earrings measure 6mm by 5mm. The diamonds catch the light on these earrings making them really sparkle. 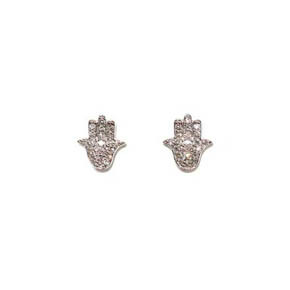 The ancient Hamsa Hand symbol brings good luck and good fortune to those who wear it. Also available in rose gold. 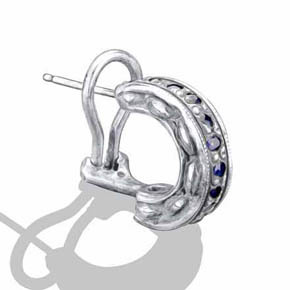 This single sterling silver semi hoop earring features medium blue Ceylon sapphires. 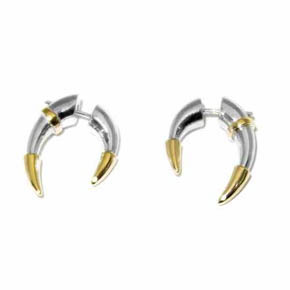 These horned-huggie earrings are a splendid addition to the wardrobe, a captivating duo set in oxidized silver with 14KT gold tips. Unconventional earrings to make a statement, a realm of possibilities arrive when choosing these earrings. Curved horns set in sterling silver, display 14KT gold tips and accents. The huggie closure allows the wearer a comfort-fit. 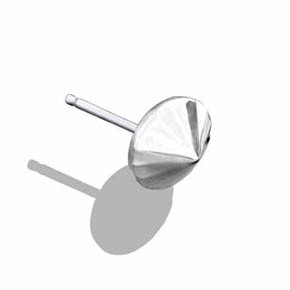 This is our classic single sterling silver stud earring. 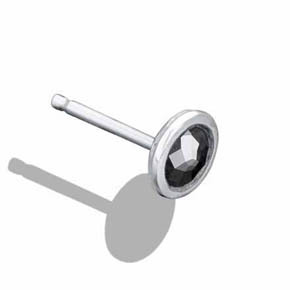 This single sterling silver handmade post earring features a faceted black diamond. 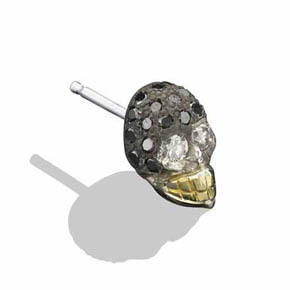 This unique handmade sterling silver stud skull earring has pave set black diamonds with white diamond eyes and gold teeth. 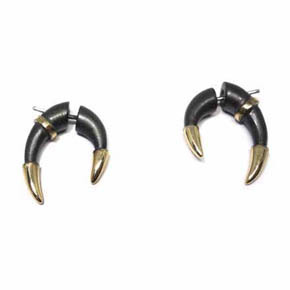 Find cool men's earrings made from the finest materials we can offer. Find unique styles exclusive to Lazaro Soho like blue diamond men's earrings men's black diamond earrings, & Men's black stud earrings.